If the URL is from a supported site and has the proper identifier, the content will automatically embed into the post body when published. 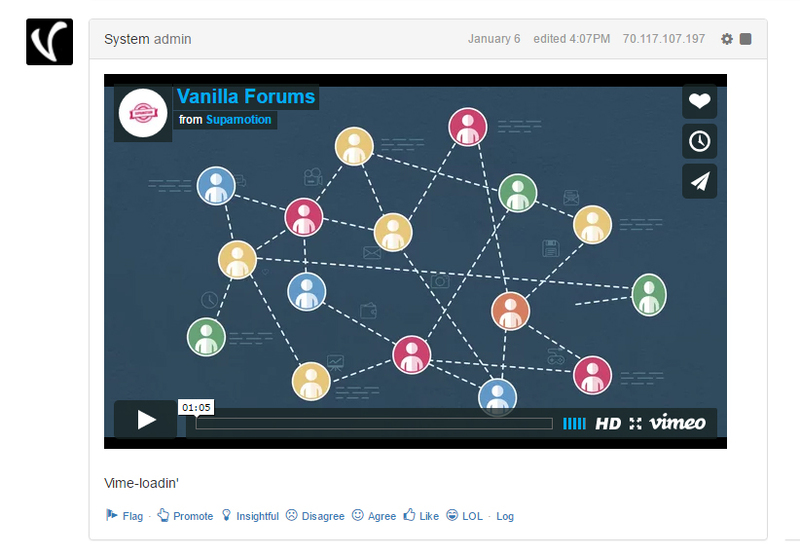 While some sites offer different types of embed codes, unrecognized parameters may stop Vanilla from correctly parsing the URL. Using the methods below will ensure your content is correctly embedded. 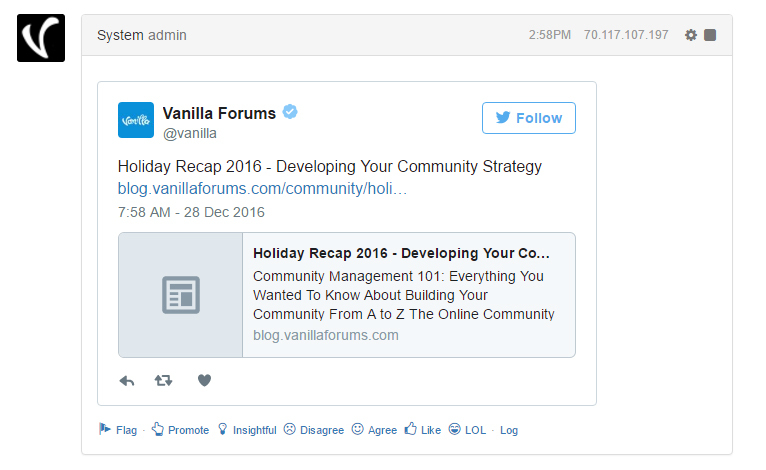 Use a full URL of a tweet to embed it. Expanding a tweet in your timeline should provide the correct URL in your address bar. To embed a tweet from a thread, click the specific tweets timestamp. 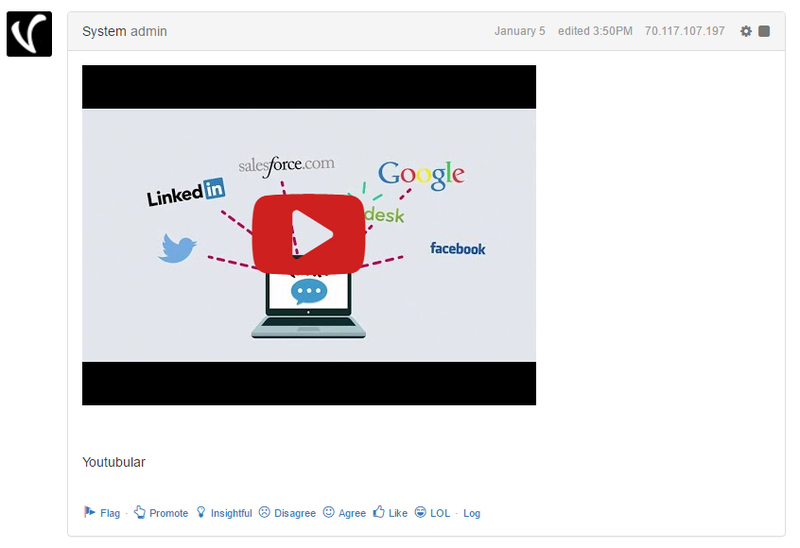 Currently the share link, or links with timestamps will not automatically embed. Both playlists and individual tracks will embed from SoundCloud when you insert a URL into a post. This will play a specific track from the playlist. You can grab a specific track URL by clicking its name in the player at the bottom of your screen. 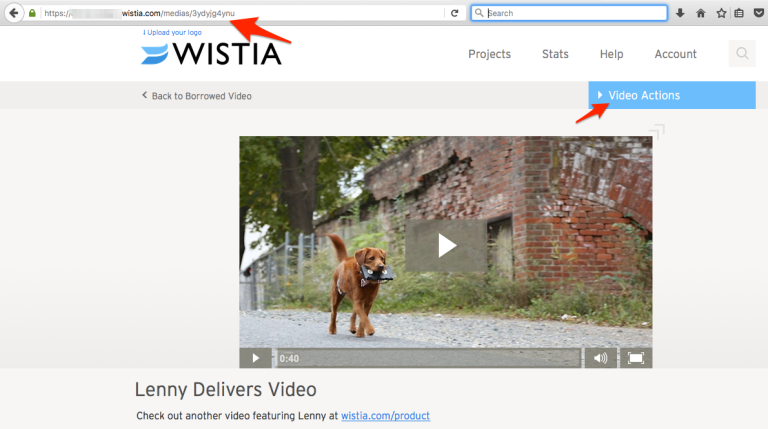 Wistia is a video-hosting website that focuses on the professional needs of businesses. 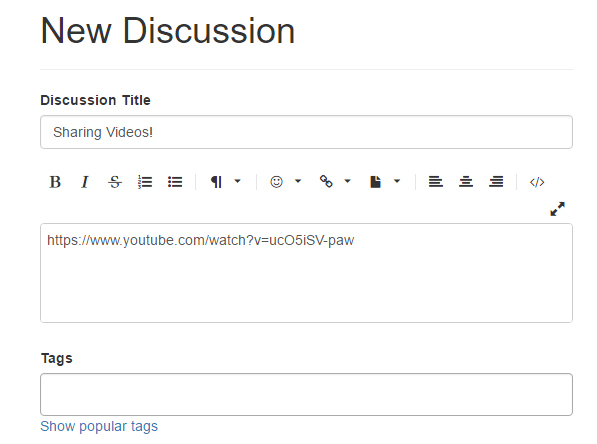 Because Wistia videos privacy is more controlled, the process of embedding them in the forum is a bit more involved. First, you want to find the project that you’d like to share from. 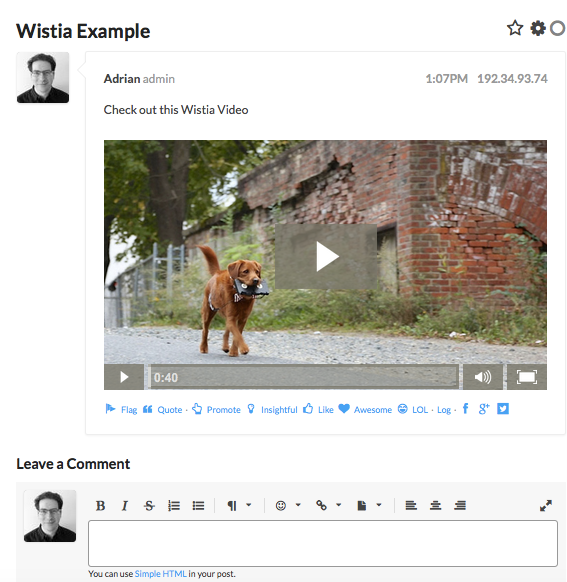 In that project, find the specific video that you’d like to embed in a post. Click on the video and copy the URL from the address bar. You can also click on “Video Actions” and select the “Social Sharing” option from the list. That will give you this screen which also provides the full URL. 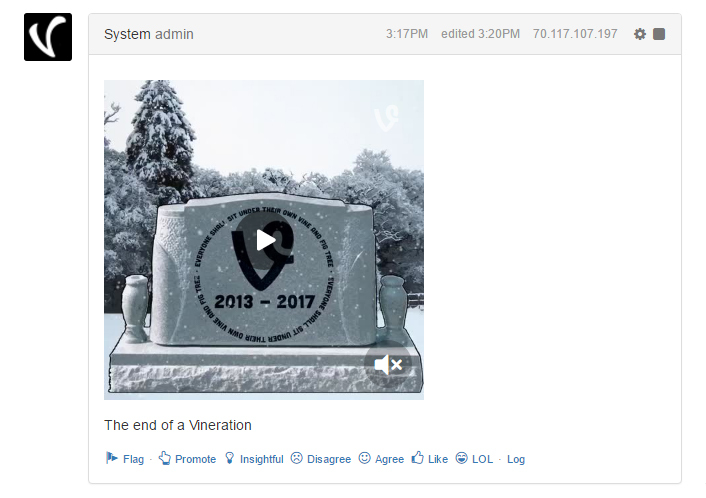 When you have the URL copied, go back to the post that you are writing and paste the link right into the body of the text - exactly where you want the video to appear. 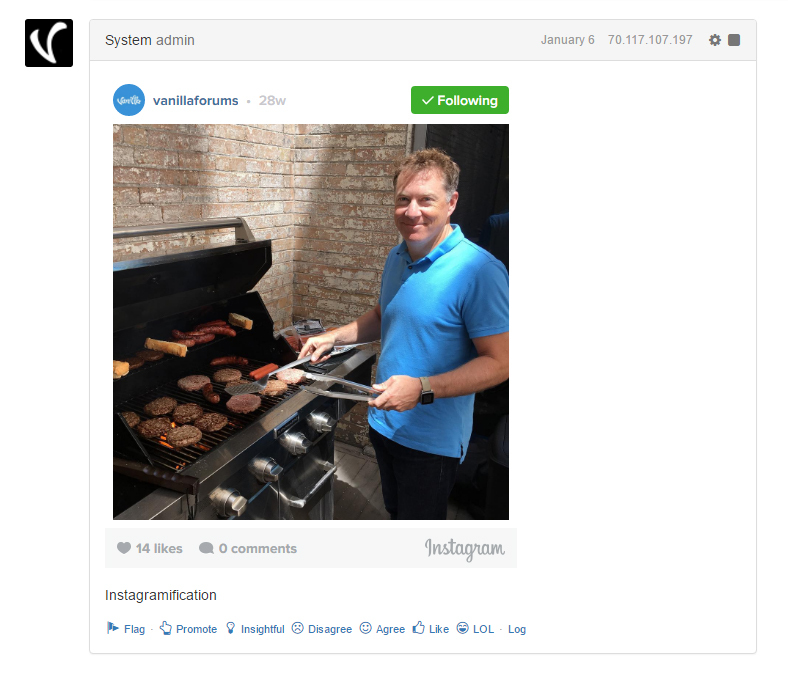 Once you post the comment or discussion, it will auto-embed just like the other examples in this article. 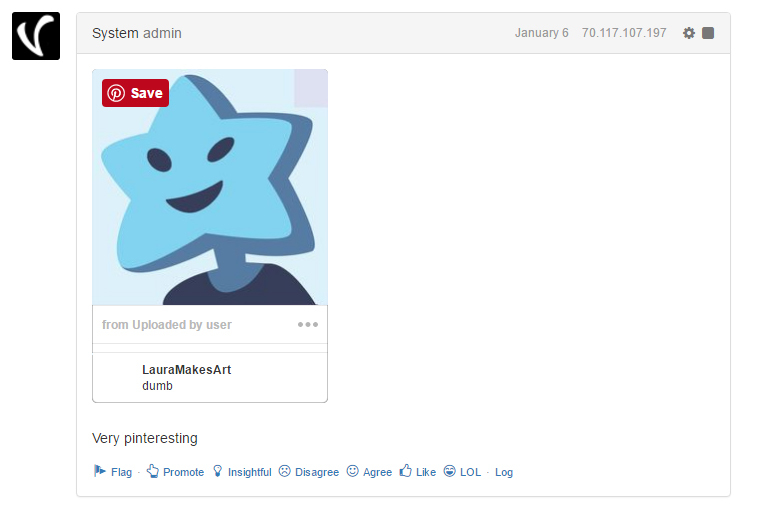 Please note, Wistia’s embed does not respect starting at a specific time. 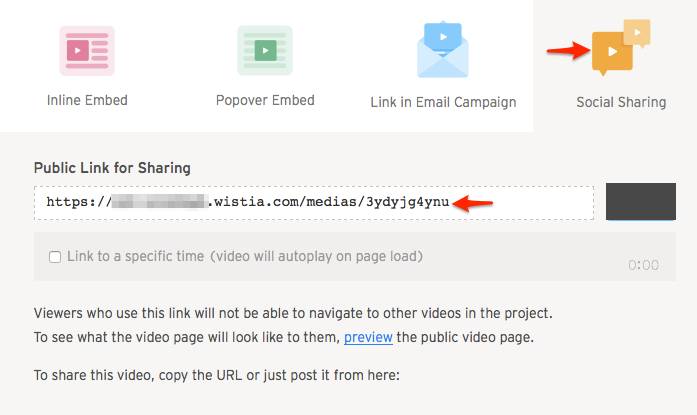 This is a limitation within the embed code from Wistia.